Hannah grew up as a competitive distance swimmer through high school. She debated swimming in college, but felt burnt out and ultimately decided against it. She had always enjoyed running and started running more to stay fit. 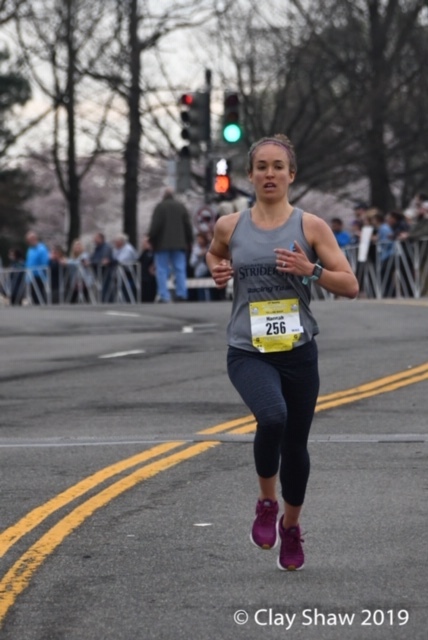 Hannah ran her first half marathon in 2011 and realized how much she enjoyed racing. She just recently joined the Striders and coached her first next step half and full marathon training program and enjoyed it. Hannah ran her first Boston Marathon this year but just missed her goal of breaking 3 hours. Breaking 3 hours at her marathon is her short term goal. Hannah’s long term goal is to continue becoming a well rounded runner with PRs in different distances.